Microboards news and events postings. Read the latest news on all the Microboards products, as well as any upcoming events. Microboards Technology is proud to announce Dream Theater keyboardist Jordan Rudess has upgraded his studio with the installation of their new G3 Disc Publisher. 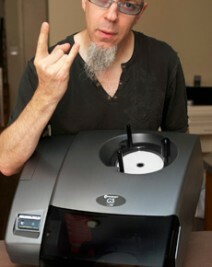 Rudess, a prolific composer who, over two decades, has released ten solo CDs, and appears on over 40 other recordings by numerous other artists, as well as six Dream Theater studio CDs and three Dream Theater Live CDs and DVDs, will incorporate his Microboards Technology G3 Disc Publisher in the production of his next solo project, scheduled for release in 2011. After trying an MX-2 for “twelve luxurious months,” Jan Ozer of Digital Content Producer found it difficult to return the unit to Microboards, as is explained in this colorful review. Minneapolis, MN — December 22, 2009 — Microboards Technology announced today the unveiling of the G3 Disc Publisher, Microboards’ latest innovation in a long line of award-winning disc publishing products. 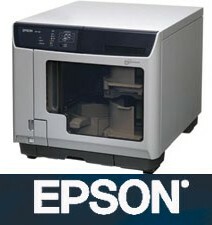 The enhanced G3 is to be positioned as a professional entry-level all-in-one desktop publisher. 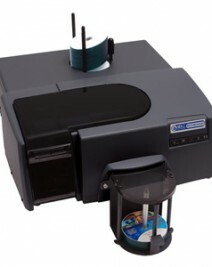 Microboards’ CX-1 Disc Publisher was recently reviewed by Videomaker Magazine’s IT Assistant Lance Olinger, who was pleased to find that this wasn’t just another publisher that needed to be babysat while it ran. CHANHASSEN, MINN. — Tuesday, August 4, 2009 — Microboards Technology today announced that they have reached terms with TechWerks to become the master distributor of the EZCaster Encoder, a device that broadcasts on-demand or live video over the Internet with the touch of an on-screen button. Fortium Technologies Ltd has announced a new partner, Microboards Technology, who will distribute anti-rip copy protection software through its VideoWrite disc publishing solutions. April 15, 2009, Chanhassen, MN — Microboards’ flagship line of DVD and CD recordable media, manufactured by Taiyo Yuden, will now be sold under the name of JVC. Taiyo Yuden, known in the professional market for having the widest playback and recording compatibility and the lowest error rate of any optical media available, announced the change in March. Microboards Technology, which serves as the primary distributor for the United States and Canada, will continue to offer the same products, but with the new branding.